This page explains the tuberculosis test for visa application to the United Kingdom. Visa applicants can check if they need a TB test and find one of the approved clinics in the listed countries. If you will stay in the UK for longer than 6 months. If you are a resident in any of the listed countries. 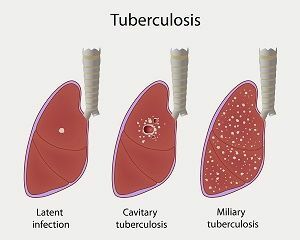 If these conditions apply to your application you will get a chest x-ray to test for tuberculosis. You may need to give a sputum sample if the result of the x-ray is not clear. Samples of sputum get tested on the phlegm coughed up from inside the lungs. The clinic will give you a certificate if the tests show you do not have TB. The certificate is valid for 6 months from the date of the x-ray. Note: You should include the TB certificate with your application for a UK visa. You are a diplomat who's accredited to the United Kingdom. You are a returning resident to the UK and have not been abroad for more than 2 years. You lived in a country where TB screening is not required by the UK (for at least 6 months). You must not have been away from that particular country for no more than 6 months. All children must get examined by a clinician. They will decide whether the child needs a chest x-ray. As a rule, children under 11 years old will not need to get their chest x-rayed. The child must visit an approved clinic. They will also need to complete a health questionnaire. You will get the certificate if the clinician determines the child does not have TB. Note: Remember to include the certificate to the UK visa application for your child. Using an x-ray that has an extra shield. The additional shield protects you and any unborn children in the 2nd and 3rd trimesters. Giving a sputum test (coughing phlegm from your lungs). This method may have an extra fee and the results may take up to 8 weeks. Waiting to have the test after the delivery of the baby. They may also accept an x-ray if it got taken within the last 3 months. But, it must have been at one of the UK-approved screening clinics. If you use this method the clinician at the approved clinic needs to review your chest x-ray. The clinician will then issue a certificate for you if the test is clear. Remember to send it with your UK visa application. Note: The test must take place at a clinic approved by the UK Home Office. Check the GOV.UK website for a list of clinics and guidance in your country. But, not all countries have approved testing centers. That means you may need to get tested in a neighbouring country.